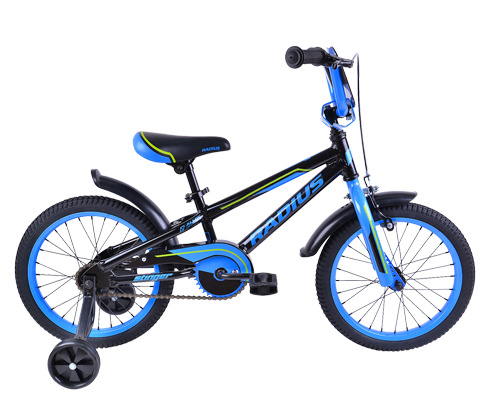 16″ kids light weight alloy frame, with Radius kids geometry. New lower stand over height for easy mounting and confident riding. 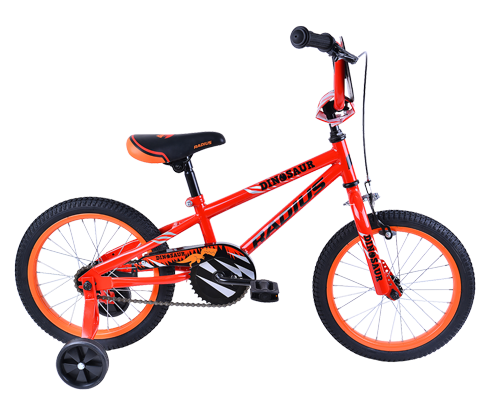 Steel BMX style fork creates a stable ride and a sporty look with snappy handling. 16″ Comp III Knobby tyres, great for riding on pavement or in the dirt. Colour matched removable training wheels. 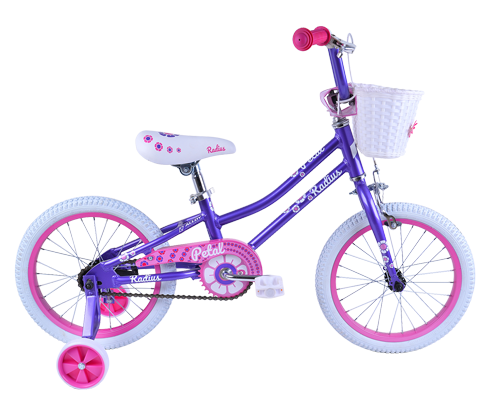 Super comfortable children’s saddle and grips, for ultimate riding comfort. Specific child grip to minimise hand slippage. 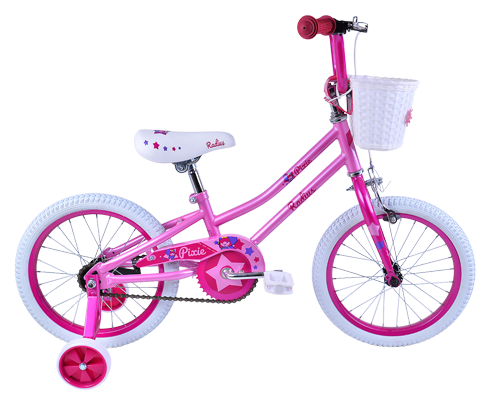 Rear coaster foot brake and caliper front brake provide the perfect amount of stopping power. Specifications are subject to change at any time and without notice. 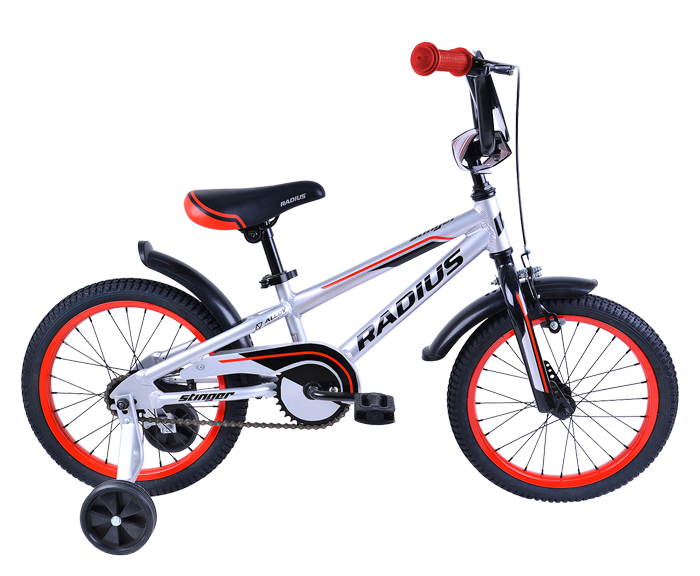 Just purchased a Radius bike?